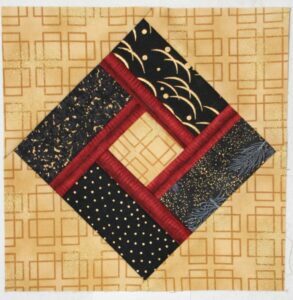 I started Good Fortune – the 2018 Bonnie Hunter Mystery – the day after Thanksgiving. 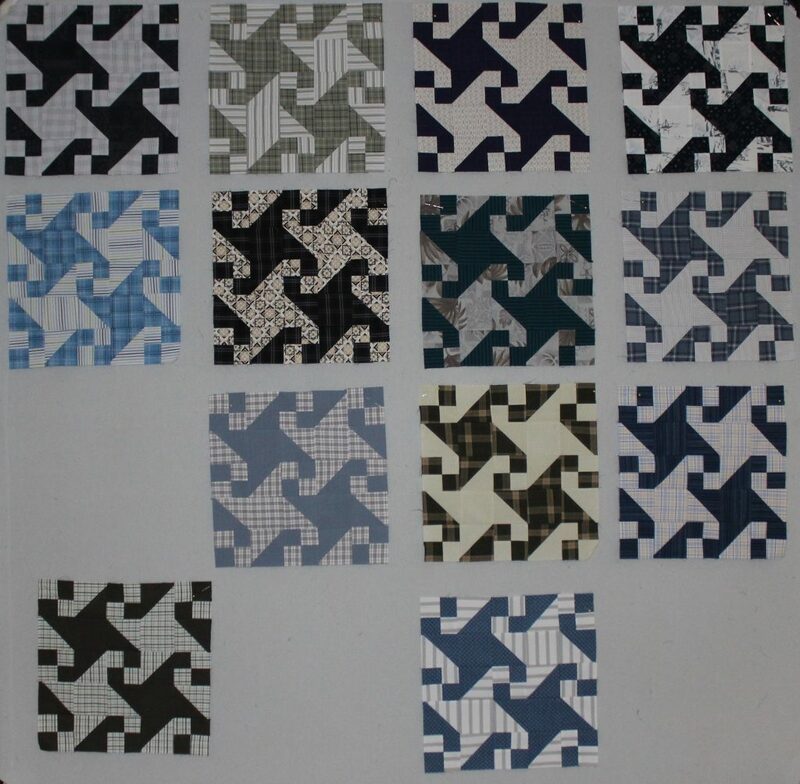 At the time my plan was to make 1/4 of the units until I saw the final reveal, but you know how plans go. 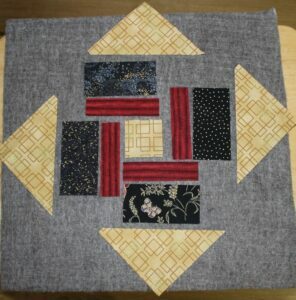 Swing Your Partner consumed my sewing time because I was determined to have the quilt top finished by the end of the year. 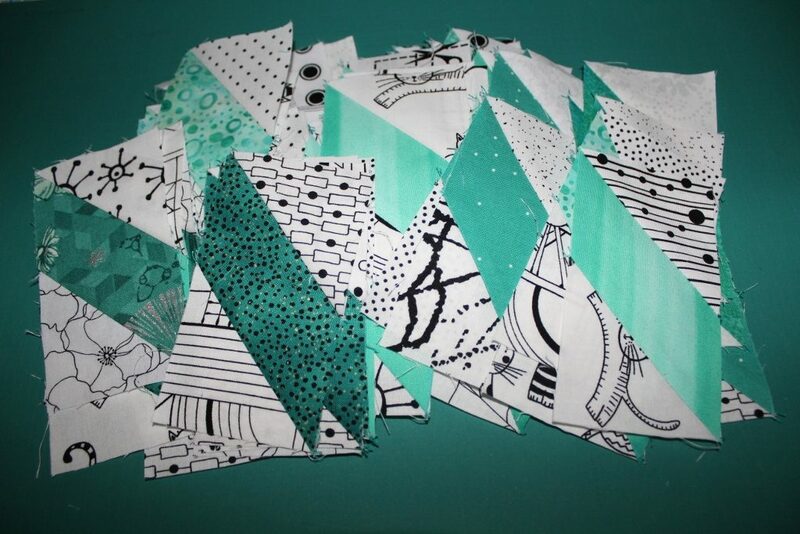 That goal has been crossed off my list, so now it is time to start in on some serious sewing for Good Fortune. 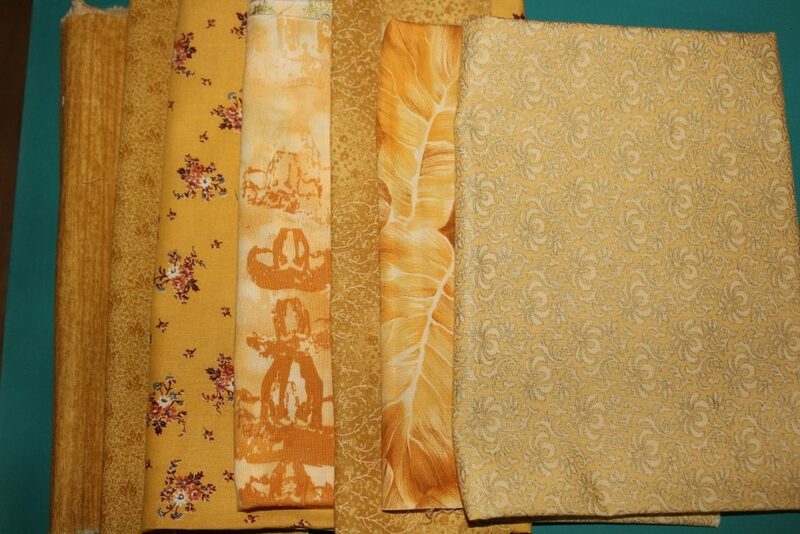 Bonnie’s color for the Part 4 string units is orange which for my quilt I have changed to gold. 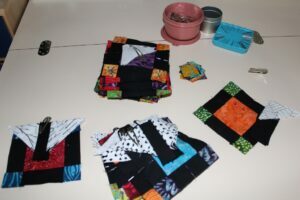 My method for making the Part 4 units is a combination of string blocks and strip sets. 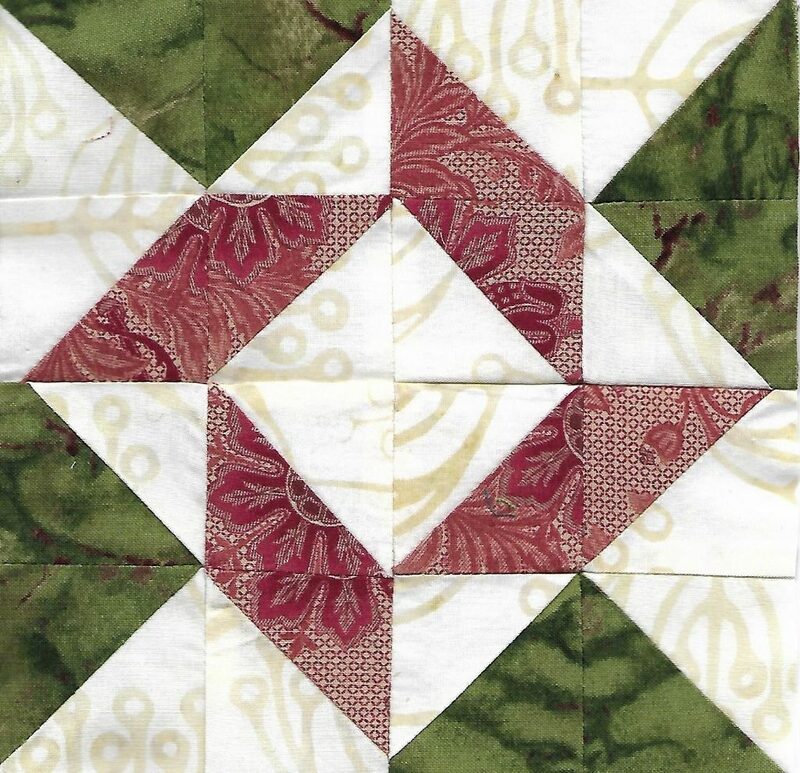 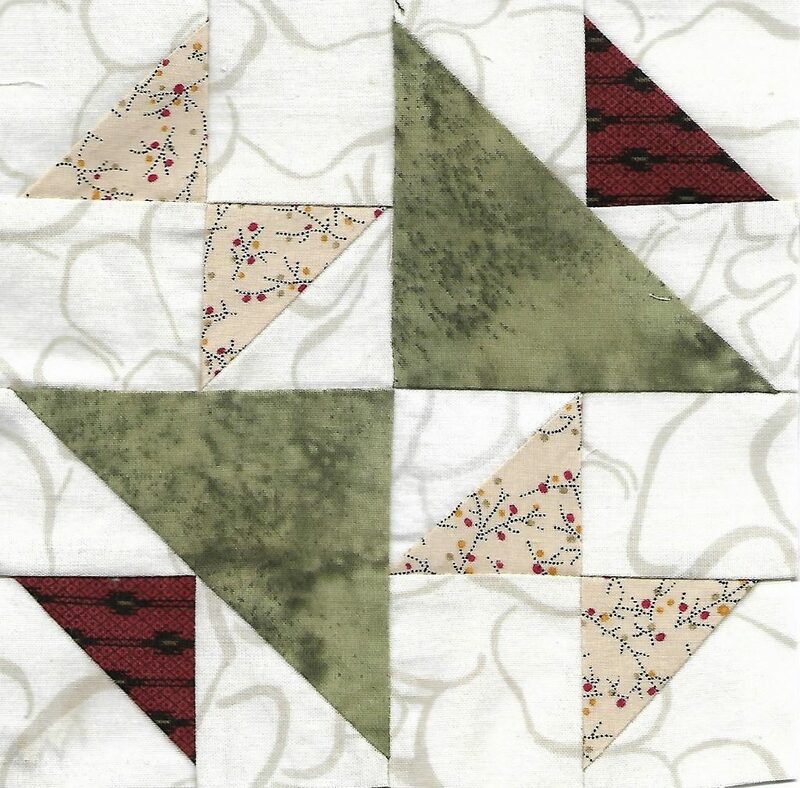 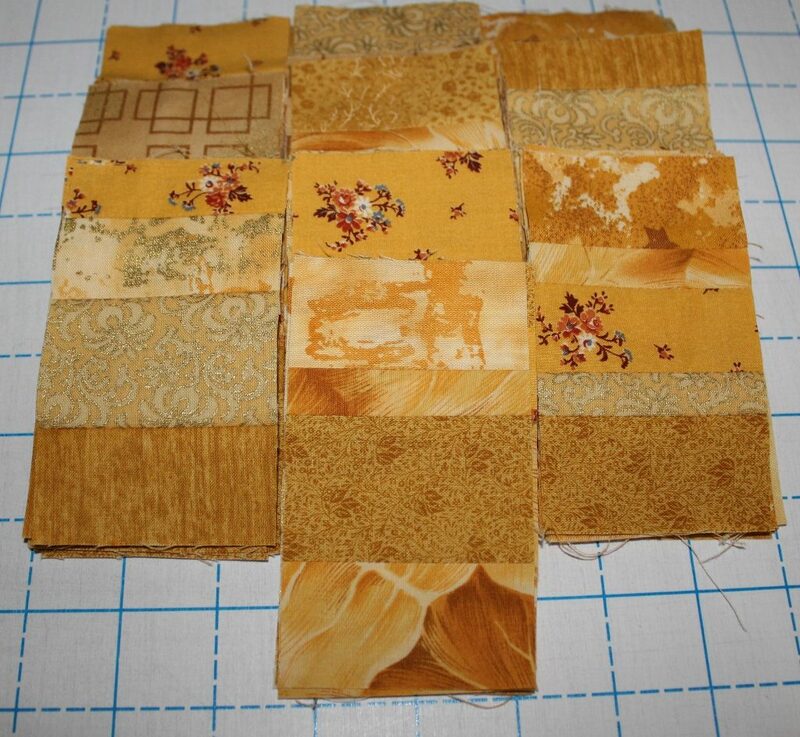 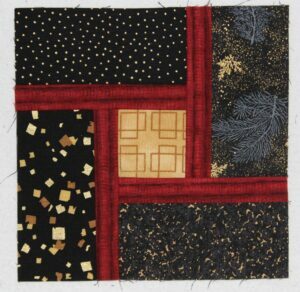 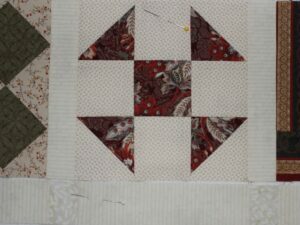 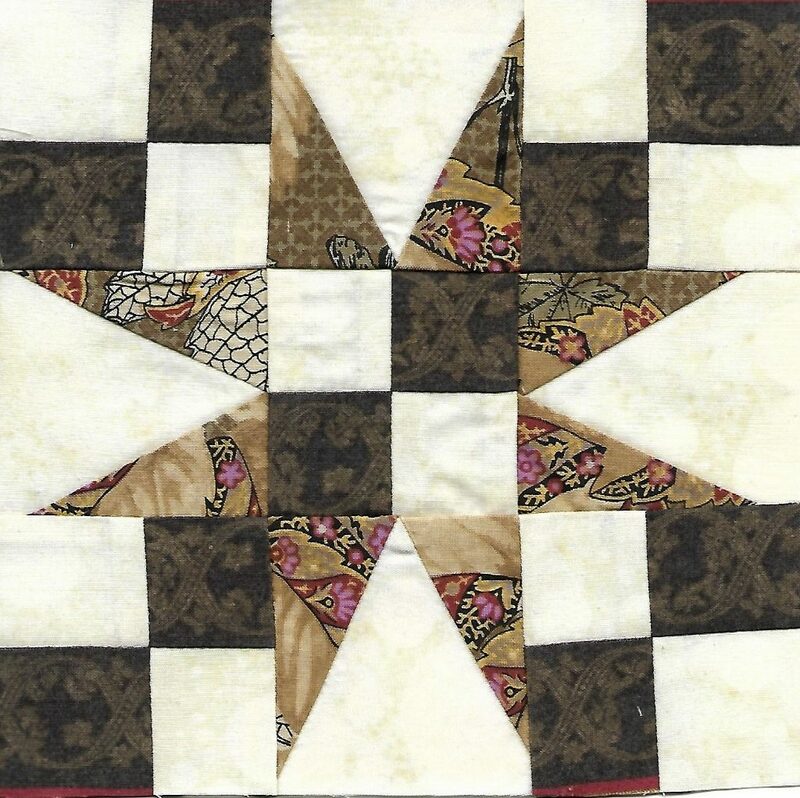 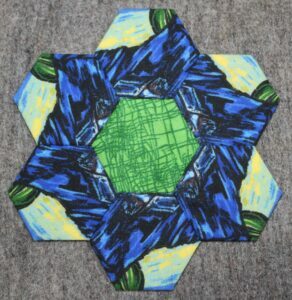 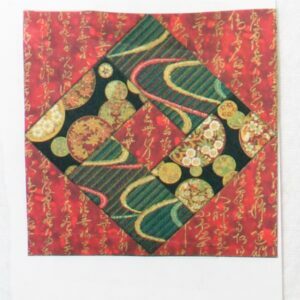 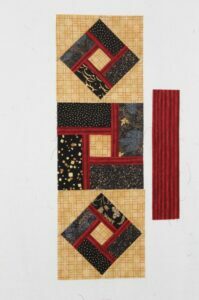 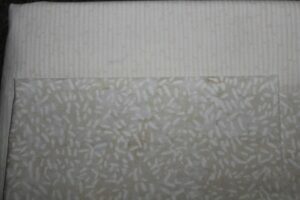 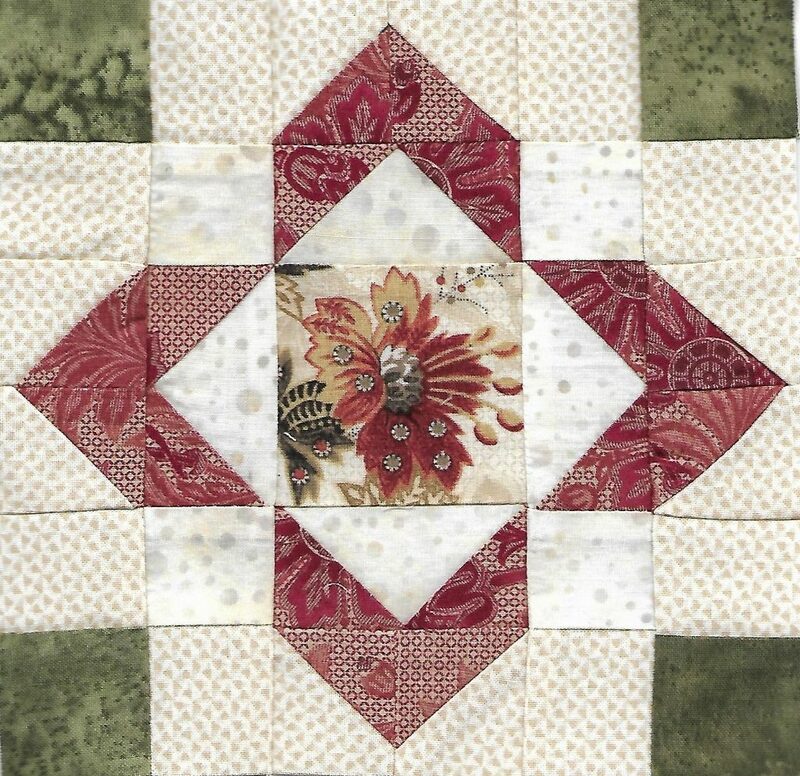 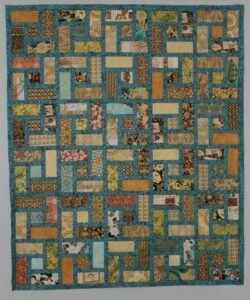 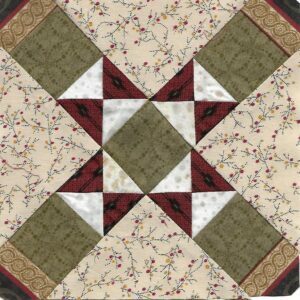 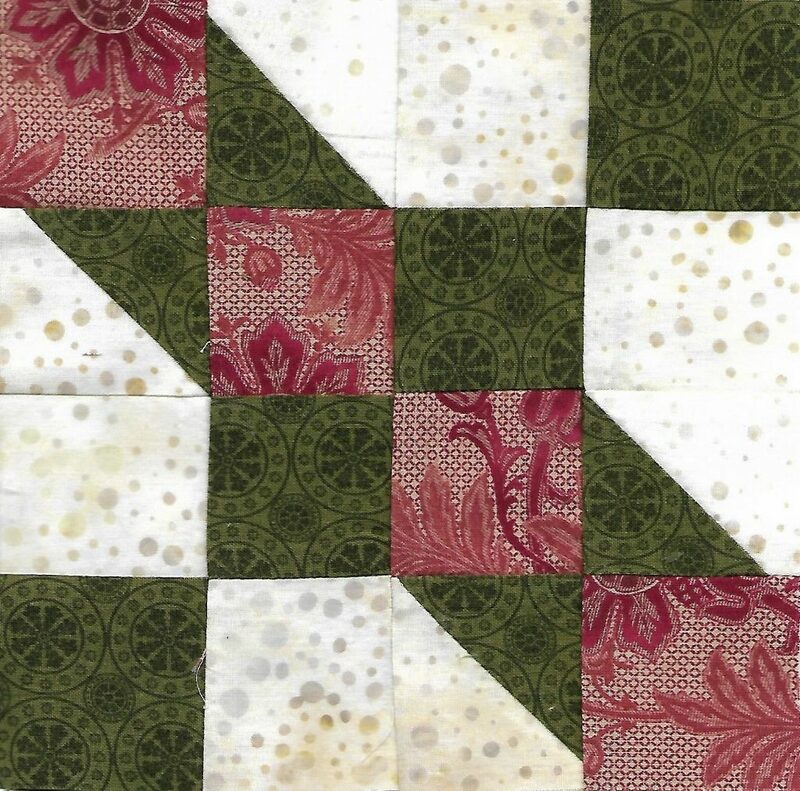 I used an Accuquilt die that cuts 1″, 1 1/2″ and 2″ strips which were sewn together into strip sets then cut to width. 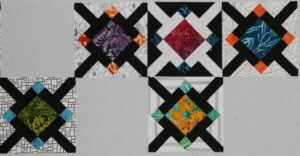 I also decided to make all the units for each clue to have a finished quilt at 72″ square, so here are all the units needed for the quilt. 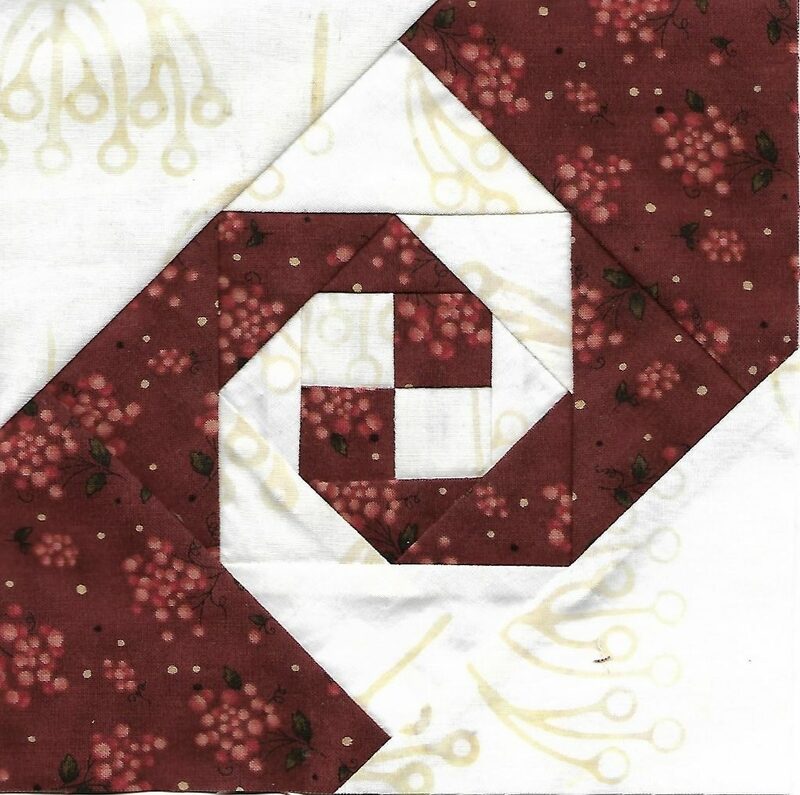 Now that Part 4 is completed, I am returning to the beginning to redo Part 1. 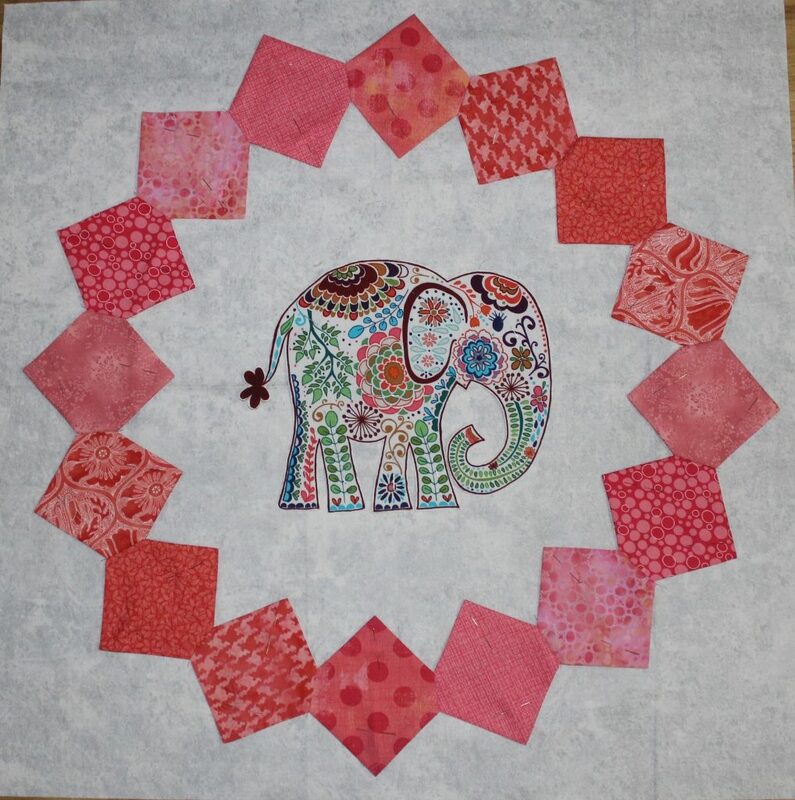 Originally I made 1/4 of the total units in red & white, however since I changed my color choices I need to resew all the units in coral & white. 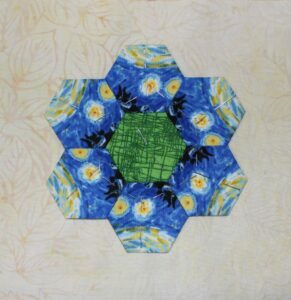 It is a work day tomorrow, but hopefully by Tuesday night all of Part 1 units will be completed. 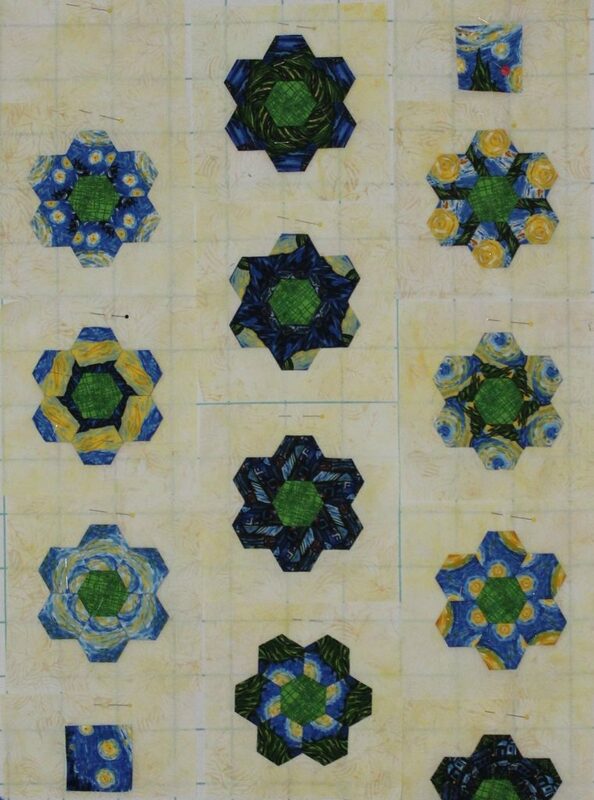 Diamond Tiles has been set aside while Butterflies Fly with Me is consuming all my attention. 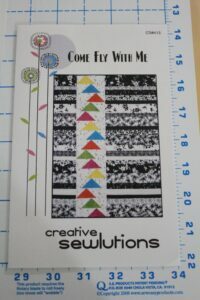 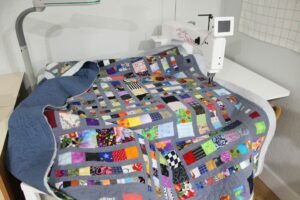 The name of the quilt is a combination of the names of the two quilt patterns used – Come Fly with Me by Creative Sewlutions and Butterflies by The Buggy Barn. 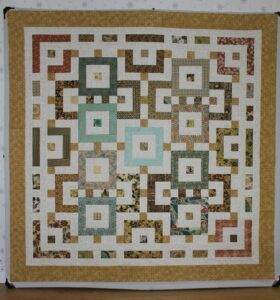 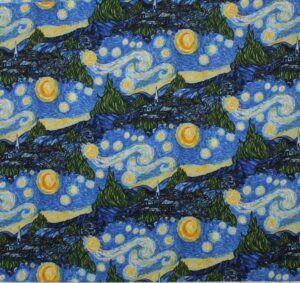 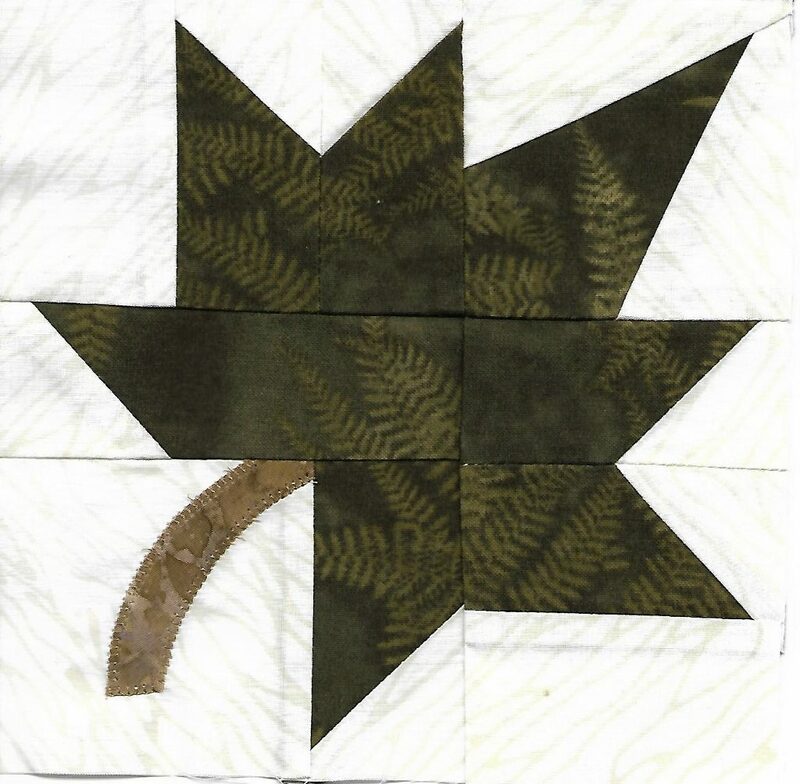 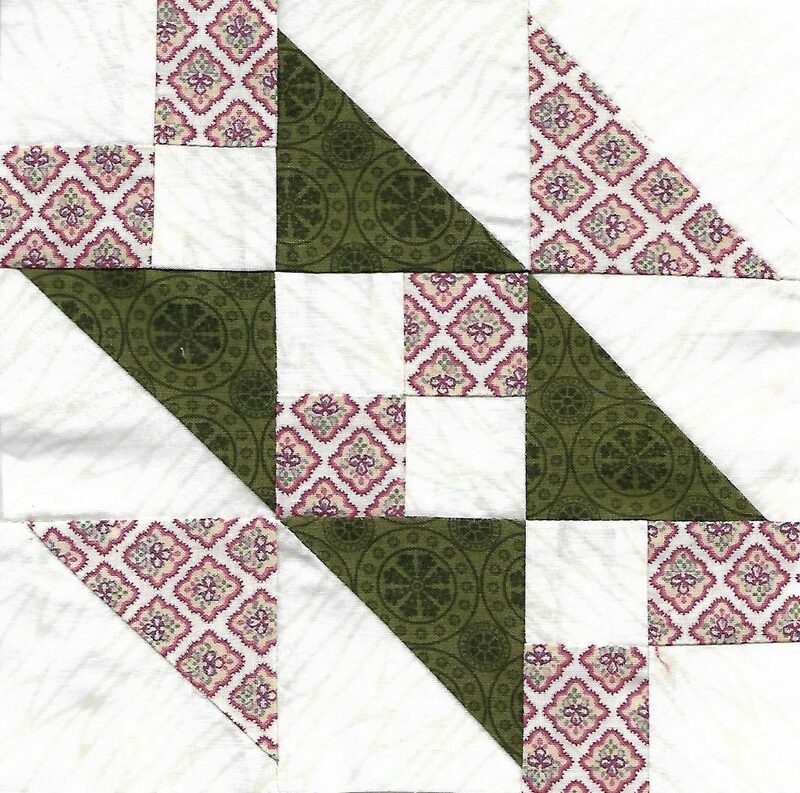 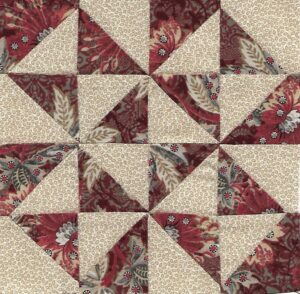 My vision of this quilt is to insert a strip of five Butterflies where the flying geese are in the pattern. 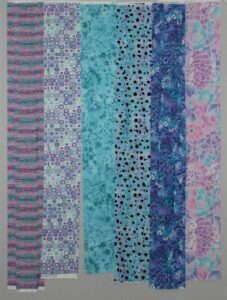 The color palette is pink, purple and turquoise. 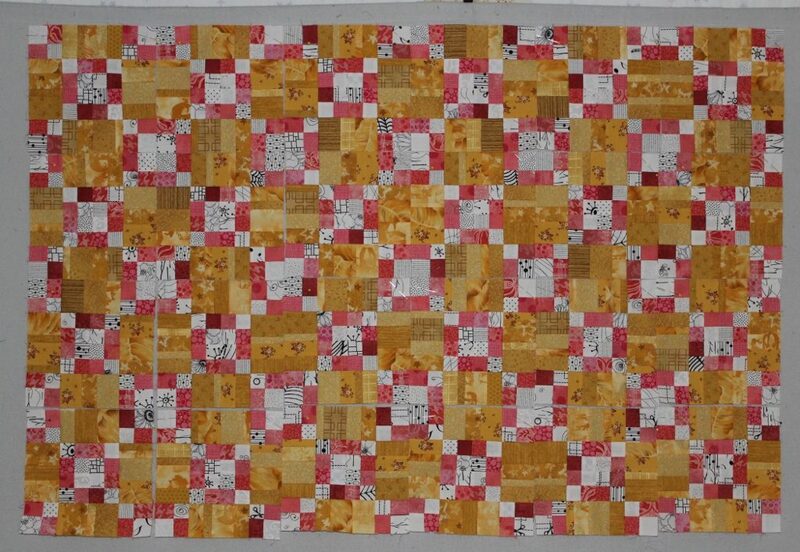 The first three butterflies were pieced together on Wednesday and hopefully the final two will be completed this weekend. 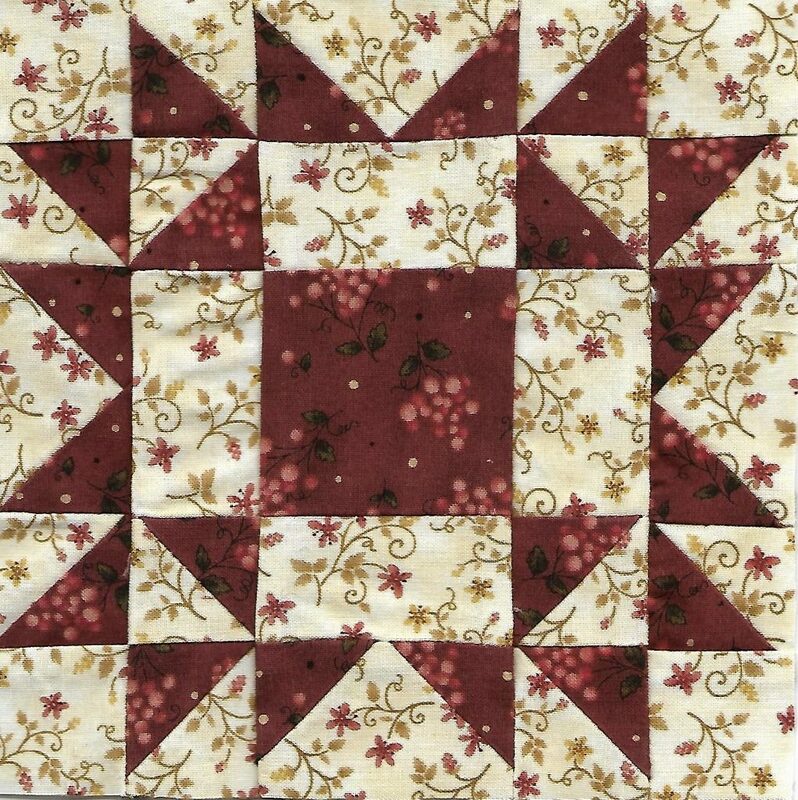 The wings and bodies of the butterflies are Fairy Frost fabric which give a nice subtle glimmer. 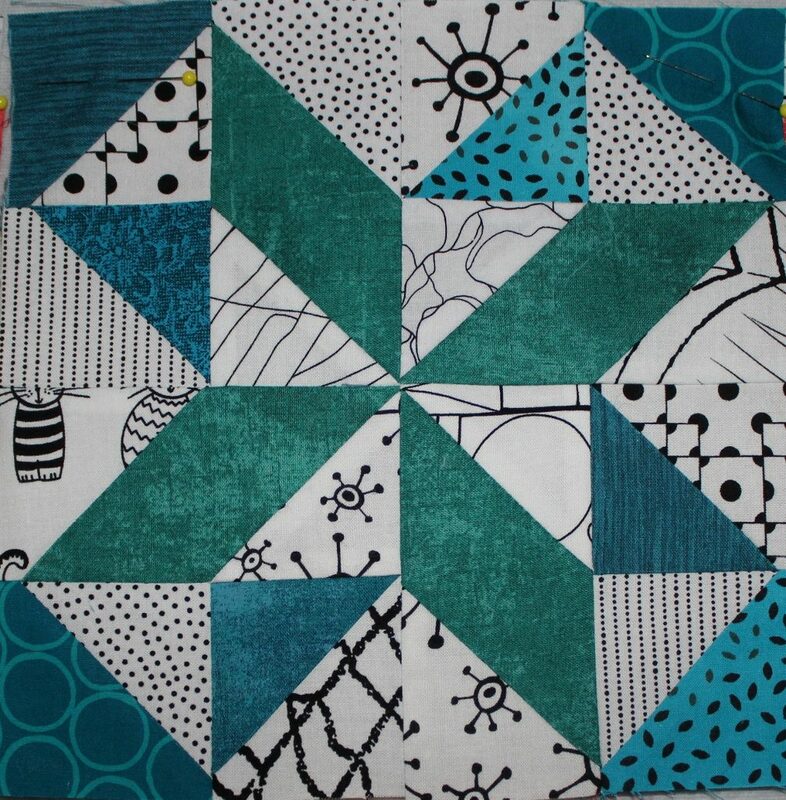 My butterflies use the same fabric background in all five which is not the regular Buggy Barn way. 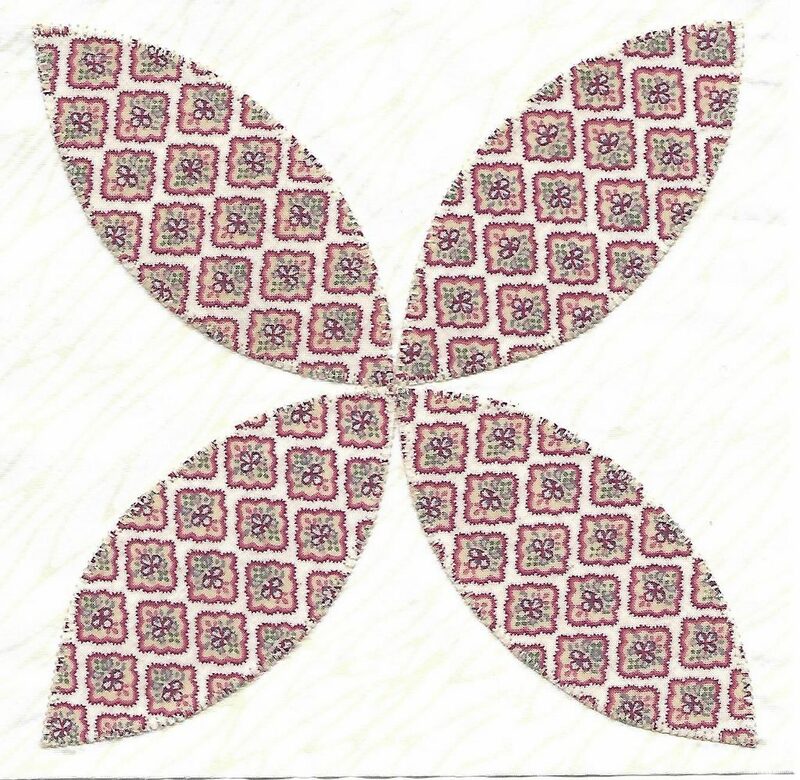 I also reversed the pattern so the next two butterflies will be flying up & to the right instead of up & to the left. 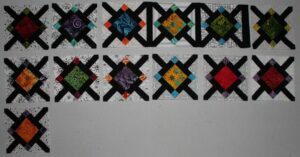 Here are some of the strips for the Come Fly with Me portion of the quilt. 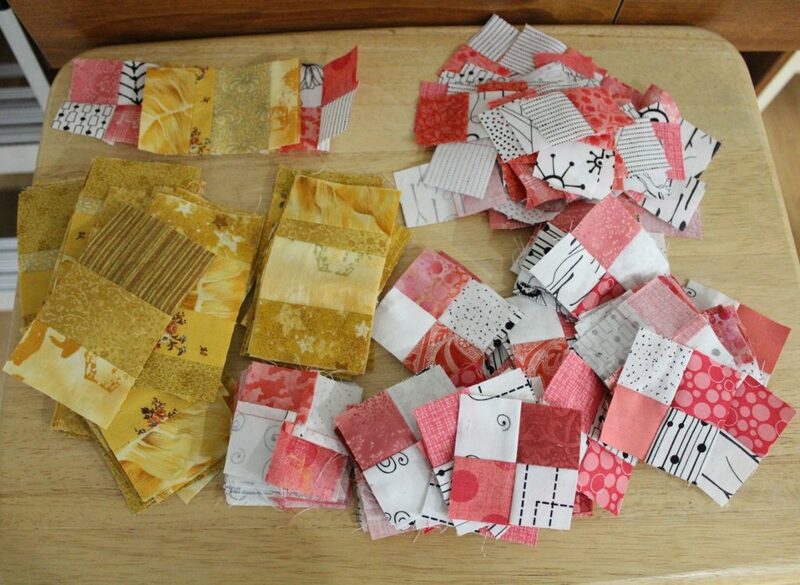 There is four more pieces of fabric that need to be cut into strips before I can start arranging them. 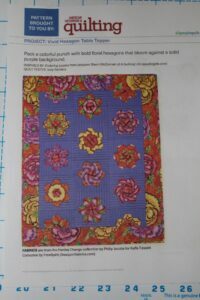 The striped fabric on the left will be an inner border and the flower fabric on the right will be the outer border. 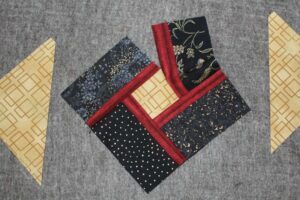 I had the idea for combing these two patterns several years ago and – so far – it is looking like my vision. 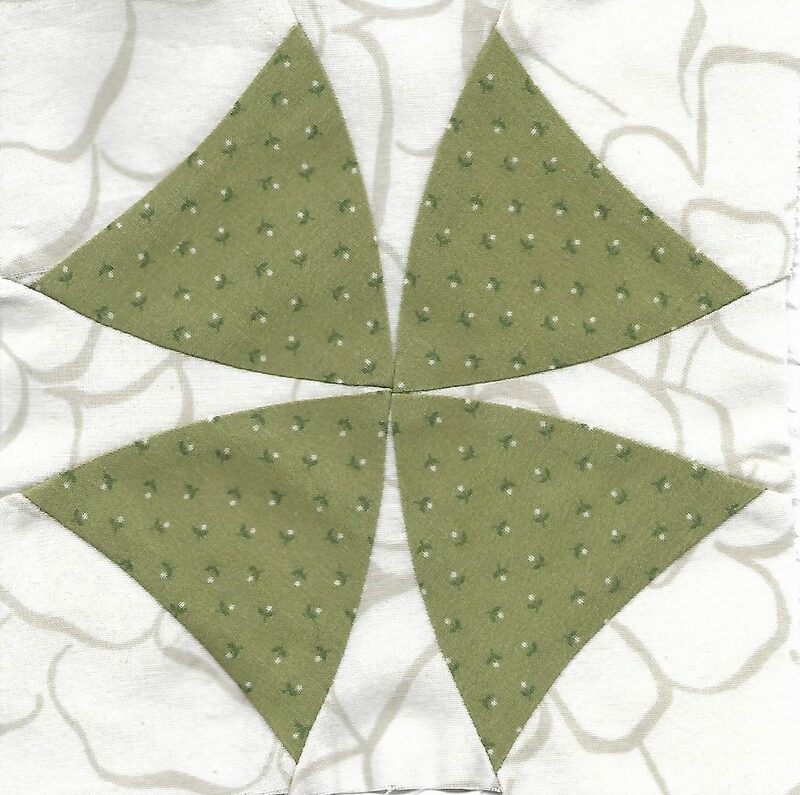 July is a crazy busy month with family activities, but this top is an easy sew and – hopefully – will be completed soon.